Unfortunately for us is,that the original research was basically conducted on a mid-1970s,long-bed,GM and Ford pickup. 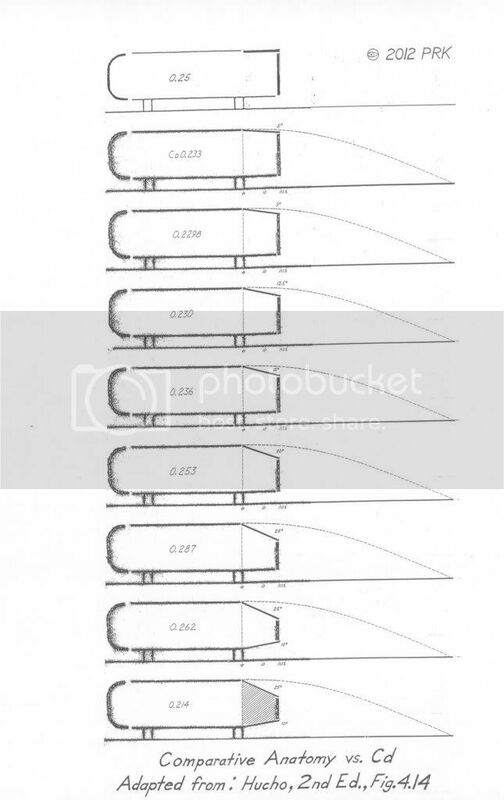 There was no attempt to quantify what would happen if the top elevation,or slope of the cover were altered. Or if the bed rails were angled as Honda did. Ford did test long beds and short beds, and all those values are predicated upon the exact configurations they put together. Later,when Sport Truck Magazine did an 'AERO' issue,they interviewed aero guys from Ford,GM,and Chrysler,and they said that there wasn't any one-size-fits-all solutions for pickups.Everything had to be taken on a case-specific basis. If you've got a Scan-Gauge,you could use MetroMPG's CAD (cardboard and duct tape) technique for quick fabrication and throw something together long enough for a field test,and see what kind of numbers it generates. 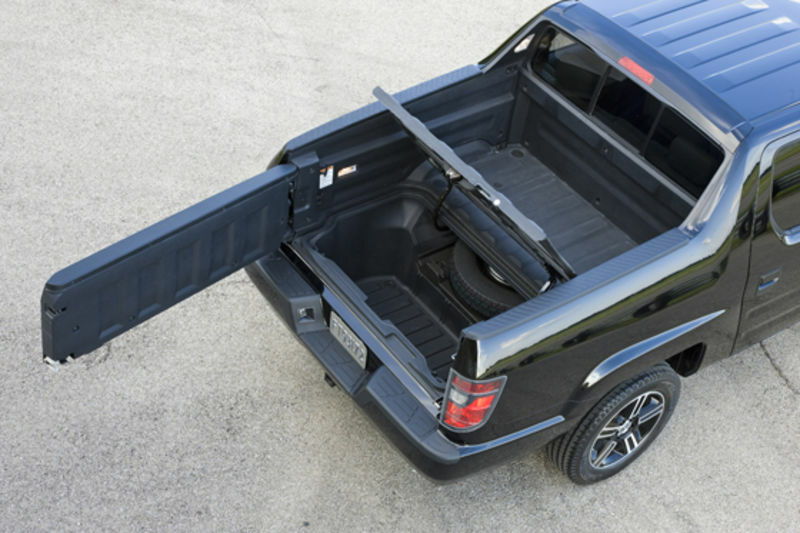 The little voice in my head considers the Ridgeline to be less 'mutilated' than a conventional horizontal-rail pickup,but I don't have any evidence that it performs any better. The Lotus Europa had a 'level' rear deck enclosed by flying buttresses, kind of like the Ridgeline and scored Cd 0.29 back in 1967.It's tail extended out to the Template though,so I'm unsure what a 'shorter' truncation would have meant to it's drag. If you look at some of the most expensive and highest performance models for some manufacturers today,you'll see aft-body architecture resembling a 'template' fastback. Wherever they chop the body off,it's at the 'template.' Just like Kamm and Fachsenfeld advocated. From another Ecomodder thread back in 2017. Very aggressive slope coming off that roof, much greater than the 5 degrees of the bottom diagram. Last edited by kach22i; 04-13-2019 at 01:40 PM..
Now I'm a fan of the Ridgeline. Is it a two-way tailgate? With a 'full' aerocap one could open both doors to get to the trunk. Minimal might be flying buttresses and a row of vortex generators across the back of the cab.